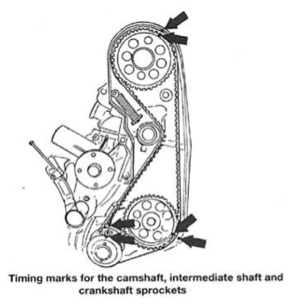 In an interference engine, with little space between the valves and pistons, a slip or break in the belt can send a piston flying into an open valve. When this happens, it is similar to the engine self-destructing, as it will soon become nothing more than an unusable mess of metal. Remember, even though you may get your oil changed every 3,000 miles, and do all of your scheduled repair services, nothing can save you from a timing belt failure. Make sure to get your timing belt replaced regularly and by a certified mechanic. It can mean the difference between a good running car and useless piece of metal.